Community of Healing is software for healing. Players can enter their problems, which become dialogue for in-game characters. As we play, we heal others who have played as well as ourselves. Controls: Click the ground to move. 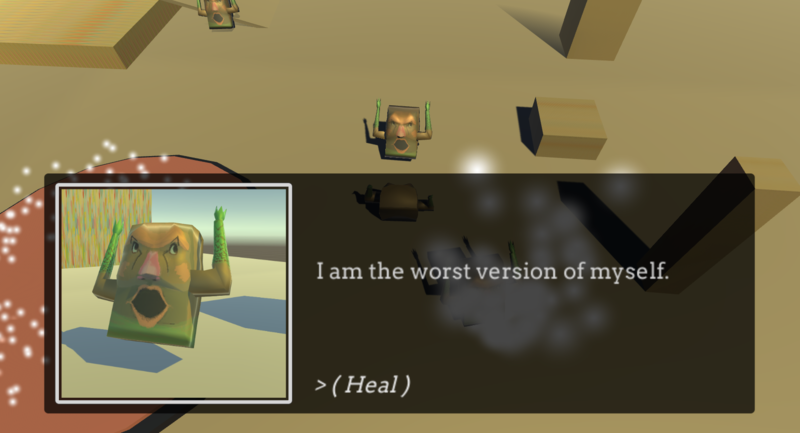 Click on other characters to talk with them - you will be presented with text written by another human being, which you are forced to "heal". Note: All dialogue in this game is created by players. I take no responsibility for the dialogue they've added.